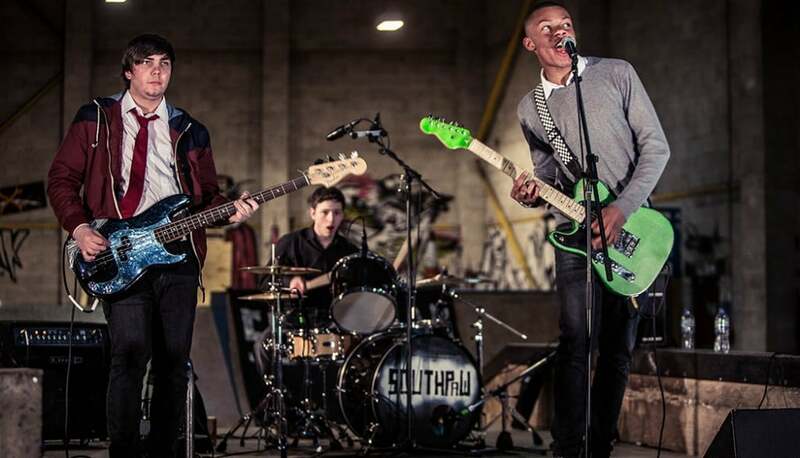 Sheffield band Southpaw, made up of mates Khalil Adesanya (Vocals and Guitar), Tyler Savage (Bass) and Jason Eaton (Drums), release their debut EP ‘In With A Chance?’ on June 28. Only right and proper then that we got our skates on for a live sesh at Onboard to celebrate it. How was your In Session with Exposed then lads? Tyler: It was brilliant, yeah. So, it’s been about a year that you’ve been together, right? Khalil: Yeah, as us 3, it’s been about a year. And have you guys been in any other bands before? Khalil: Well, the story of the band is that it was originally just me and Jay – Jay and I, sorry, that’s bad grammar(laughs). We were playing together and we had a laptop as a bass player. Khalil: But then we were at a party and Tyler took advantage of the situation, and was like ‘can I join the band?’ and I said yes, not realising what I’d done. The next day we turned up for rehearsal and he was there, and erm, it was a good decision in the end (laughs). Tyler: It just got better from there. Honest (laughs). I know that you’re very much connected with ‘Big Matt Hume’ at Fourth City, tell us how that connection came about? Tyler: We were just booking gigs and we got a gig in Sheffield, at Sheffield Live I think, and it was dead (laughs) – and then Matt turned up and gave us a business card and it went from there really. Jason: He was like, ‘yeah, I like you guys, and I want to do some stuff with you’, so that was cool. He actually got us a Leadmill gig supporting Bruce Foxton – so that was a good opportunity. Khalil: We kinda turn up and think how can we do the best possible show, rather than just thinking ‘are we better than them or are we not as good?’. We just focus on ourselves really. Is it fair to say then that the only people you’re competing against is yourself… and your last gig? Khalil: Yeah, I guess so. We just try to make the crowd enjoy us the most. Khalil: 60% of the time, we give one hundred percent, every time. Khalil: (Laughs) Yeah, being on stage is awesome. At first you’re a bit nervous – but once you get on its like ‘let’s go! Energy, energy, energy!’ In rehearsals though, we just practise over and over again, and if a part of a song doesn’t sound right we’ll either change it or just keep going through it until it does. Khalil, you’re super confident on stage. If you think back to your first ever gig, have you always been this confident or have you had to work on it? Jason: He’s always been confident. Khalil: Yeah, I’ve never been super shy, I do move around a lot more now though. Khalil: Well it was recorded at the beautiful 2Fly Studios, we wrote and recorded two songs, so we’re going to go back and record another two. There’s a good mix of songs on there. The theme we went for is like, erm… going out and partying (laughs). So there’s the odd song about getting rat-arsed then..? Khalil: We should maybe try and write about political things next (laughs). Will be your first ever EP? Tyler: Yeah, I’m right excited. Khalil: He is, he won’t shut up about it (laughs). Jason: I’ve got a lot of excitement contained… and it will come out nearer the time (laughs). And will there be some brand new, previously unheard material on the EP then? Khalil: Yeah, there are two new songs, ‘Adrenaline Kick’ and ‘I Don’t Dance’, which are both pretty energetic tracks. Tyler: We did a gig with a band called Jenga and The Spirits and they were very good, Also, a band called Darlia (Leeds) – I’m loving them at the moment. 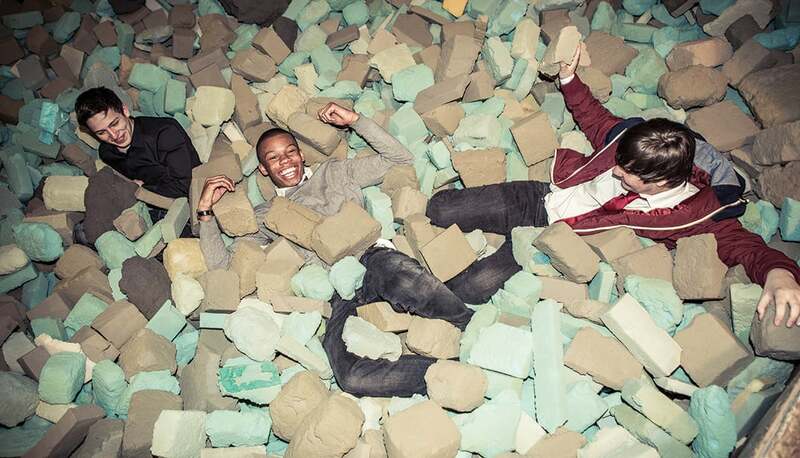 Khalil: The Recroots, we really like them, And a band we saw in Doncaster called The Image. Also a band we supported in vitro babies. Jason: The Barristers are awesome. Oh, and Clusterfunk, of course. Jason: We spend pretty much all our time in Khalil’s car – so everything we like is in there really (laughs).